Scarborough Car Detailing- Wash Me Now. The district of Scarborough is home to over 600,000 residents. Personal cars are easily the most common form of transport for most families in this area which means that the roads are almost always busy. Daily vehicle use means that your car will gather dust and dirt within a relatively short period of time. When this happens, it’s important to have your car cleaned sooner rather than later. The longer you wait, the more damage this dirt will inflict on your perfect paintwork. Fortunately, Wash Me Now offers mobile car detailing in Scarborough. Our professional team will ensure that your vehicle is spotlessly clean so that you can make the most of your time. From family cars and SUVs to luxury vehicles and sports cars, our team at Wash Me Now knows just how to achieve the very best results. We understand that each car is an asset, and we treat every vehicle with the utmost care and respect. We also take great pride in achieving the best results which is why we offer a 100% satisfaction guarantee for all Scarborough car detailing. A professional clean is so much more than a quick once over. At Wash Me Now, we take Scarborough car detailing to a whole new level by focusing on the smaller aspects along with the general top to bottom clean. We know exactly where dirt loves to hide and how to achieve the very best shine. Call our team to get your car back into top condition! Customer satisfaction is our number one priority, and it shows! We have more than 100 5-star reviews from happy vehicle owners. Of course, you need not take our word for it. Take a look around online and see for yourself why our customers continue to return time and time again. Scarborough residents are busy people, and this busy lifestyle can often mean that certain responsibilities are neglected. Don’t let the appearance of your vehicle deteriorate as a result of your busy life. Let Wash Me Now come to you! Our mobile car detailing in Scarborough will make it that much more convenient to keep your car in great shape. You need only provide us with your Scarborough address, and we will do the rest. Our mobile unit comes equipped with everything including our own water supply! Steam is known for its cleaning and disinfecting power. Along with these advantages, using steam to clean your car also minimizes the amount of water we use. Using steam also ensures that your vehicle is cleaned in the gentlest possible way without any harsh rubbing and scrubbing. Just as budgets vary from owner to owner, so too do personal needs. A polish is not necessary nearly as often as a thorough, professional wash. This is why we offer both basic and in-depth packages for vehicles of all sizes. Whether you strictly need a thorough interior clean, or you want a full clean inside and out, you can choose the option that caters to your needs. Our optional extras also allow you to choose extra treatments specific to your needs. Water is essential for cleaning any car. At Wash Me Now, we make use of steam cleaning power in order to minimize the amount of water we use and thereby doing our part for the environment. Furthermore, we have specially selected safe auto cleaning products and avoid the use of harsh chemicals. Our team at Wash Me Now understands just how precious your time really is. This is why we perform all Scarborough car detailing within the allocated period of time. 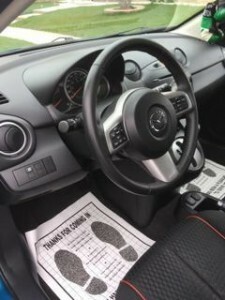 Each of our car detailing packages is advertised along with an estimated amount of time required. Depending on the package, the size of your vehicle, and any optional extras, our packages take between 1 and 3 hours to complete. Take a look at our detailing options here or call our team for more information.